It’s that time of year again when love is in the air. Valentine’s Day usually means chocolates, wine, and indulging in a decadent meal at a restaurant—not always the healthiest options for your body. 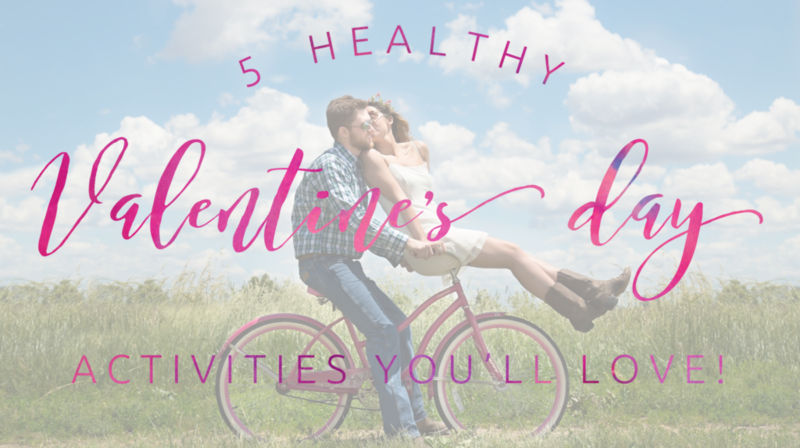 Whether there’s a special someone you’re celebrating with or you’re hanging out with close friends to mark the occasion, we wanted to suggest a few Valentine’s Day activities that are healthier than the norm. Valentine’s Day is a great time to spoil yourself and the ones you care about. Head on over to your local organic spa for some much needed self-care and rejuvenate from the freezing temperatures. Or, you could get a couple’s massage to relax and de-stress. Don’t want to spend the money at a spa? Create your own spa at home with a customized facial, and sip on cucumber water while the good effects take place. Instead of going to the movies and sitting for two hours, put on your hiking boots and explore the great outdoors. This can be a great activity to bond with your significant other and breathe in some fresh air. Plus, if you do have an indulgent dinner planned, you can feel better about it by getting some exercise into your day. Try for at least 30 minutes of exercise on this—and every—day. You’ll feel better for it! Shake up your daily routine by trying a new activity! Take a painting class with your partner and hang your artwork in your home to remind you of the experience. Or, head to the local climbing gym and learn how to rock climb—a potentially great way to build up trust between two people. You could even take a healthy cooking class at your local organic grocery store and learn to make something new and healthy for your next dinner together. Whatever the new hobby is, you’ll surely enjoy spending time with your significant other and have fun to learn something new together.